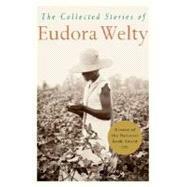 Eudora Welty (1909-2001) was born in Jackson, Mississippi, and attended the Mississippi State College for Women, the University of Wisconsin, and Columbia University (where she studied advertising). She worked as a photographer during the Depression and published her first book, a collection of short stories, in 1941. In addition to short fiction, Welty wrote novels, novellas, essays, and reviews, and was the winner of both the National Book Award and the Pulitzer Prize. By the time of her death in 2001, Welty had established herself as one of the most important and beloved American writers of the twentieth century.